Cutting straight hair is fairly easy, but styling curly locks takes special skill. If you have curly hair, you've probably had your share of bad haircuts from stylists who didn't understand the unique challenges of making your bouncing curls look positively gorgeous. In many cities there just aren't salons that specialize in curly locks. But if you are headed for New York City you are in luck. Plan to have a haircut and style in one of these top salons that know exactly what to do with curly hair. Whether you want to bring out the natural beauty of your curls or blow them out straight and sleek, you need a stylist who knows how to work with your hair. 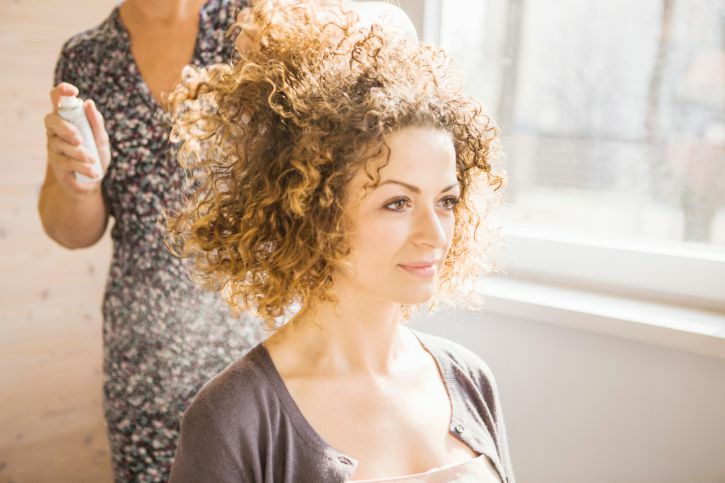 Luckily for you, Manhattan is the home of some of the best salons for beautiful curly hair. Here, we round up 6 of the very best of them. Get ready to be pampered at Devachan, a posh SoHo salon that's all about curly hair, where all of the stylists know just how to work your curls. Founder Lorraine Massey is the author of the book Curly Girl and creator of the Devacurl line of products for curly hair. There's also a second outpost on the Upper West Side. Ouidad is a curly hair guru with her own line of products and certified salons around the country. New Yorkers can sample the experience at the Ouidad flagship salon on 57th Street, where her patented techniques have made her a legend in curly-haired circles. Location: 37 W. 57th St., 4th Fl., between 5th and 6th Avenues. You may have seen stylist Nick Arrojo's skills on TLC's What Not To Wear (when he helped Stacey and Clinton transform dowdy fashion victims into glam goddesses). At his salons on Varick Street in SoHo and Hudson Street in Tribeca, he and his staff are trained to work with curls (Nick and several stylists are curly heads themselves). Locations: 180 Varick St., between King and Charlton Streets. ; 200 Hudson St., south of Canal Street. Christo is a curly hair guru who has styled models, celebrities, and fashionistas in his Christo Fifth Avenue salon. His Curlisto product line has been recommended in Vogue, Bazaar, Lucky, and Self. See what all the fuss is about at his salon on West 45th Street. Location: 35 W. 45th St., 3rd Floor, between 5th and 6th Aves. Bloom Beauty Lounge in Chelsea aims to provide spa-style pampering to rejuvenate your mind, spirit, and curly-haired body. Haircuts, color, highlights or lowlights, retexturing, curl taming, and straightening services are all available. Location: 140 W. 19th Street, between 6th and 7th Aves. Senior stylist, Leslie Ellen Abbate is dedicated to curly hair. She works with the natural beauty of the and specializes in hair makeovers including color and highlights. The salon is located in Manhattan, off of 5th Ave, in the Flat Iron District.